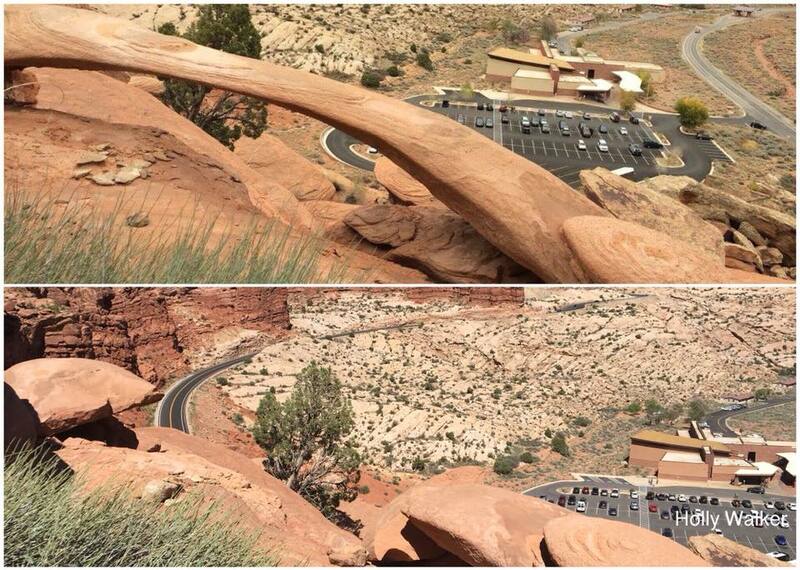 Rainbow Arch, located just above the visitor center in Arches National Park, collapsed sometime this winter. 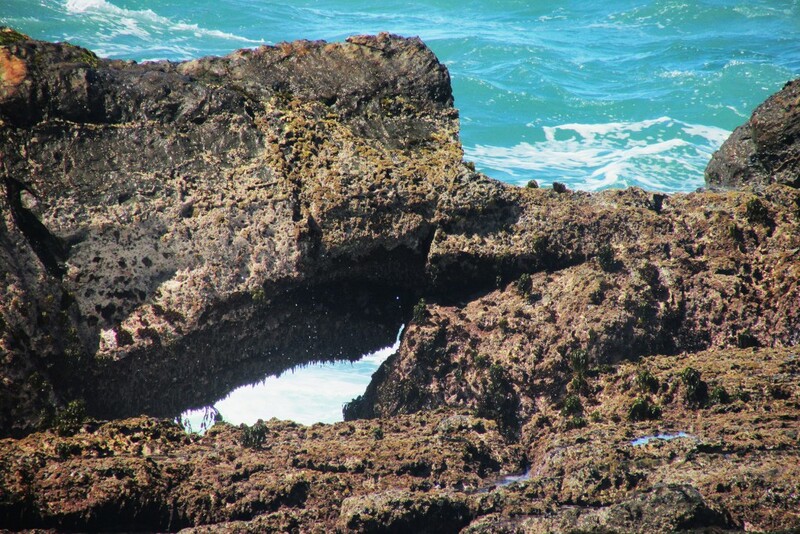 A park ranger noticed it was no longer standing during a hike in February. The arch was cataloged by Stevens and McCarrick as SA-137 and had a reported span of 11.7 feet. 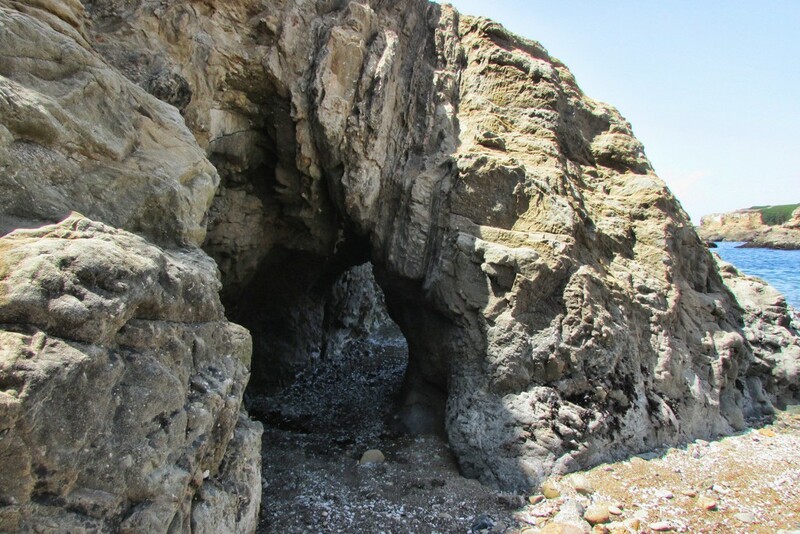 A research team from the University of Utah, including Jeff Moore and Paul Geimer, had actually been studying this arch not long before the collapse. The “before collapse” photos here were taken by Jeff Moore, and the “after collapse” photos were taken by Paul Geimer. The “before-after” comparison below was assembled by Holly Walker. 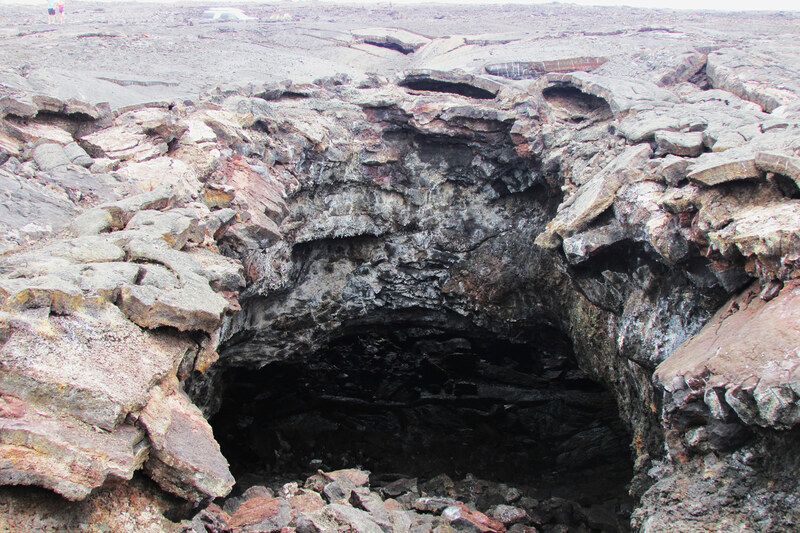 The team made vibration measurements four times at the site in 2017, focusing on a prominent crack working through the center of the span that appeared to be putting the structure in jeopardy. The crack is circled in the photo below. 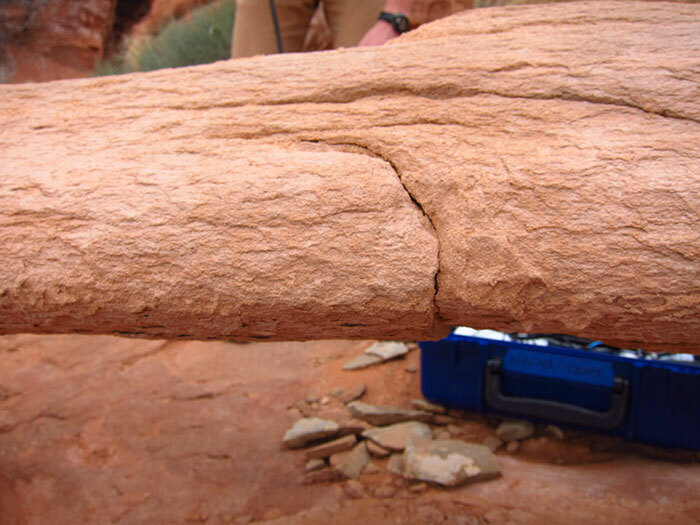 However, the team observed no changes in the crack or vibration characteristics over 12 months, and backed off on their monitoring program, believing the arch to be more stable that it appeared. The collapse is bittersweet for the team, as it highlights and validates the fragility of these features, but unfortunately they were unable to record its last few weeks and months and identify accumulating damage. 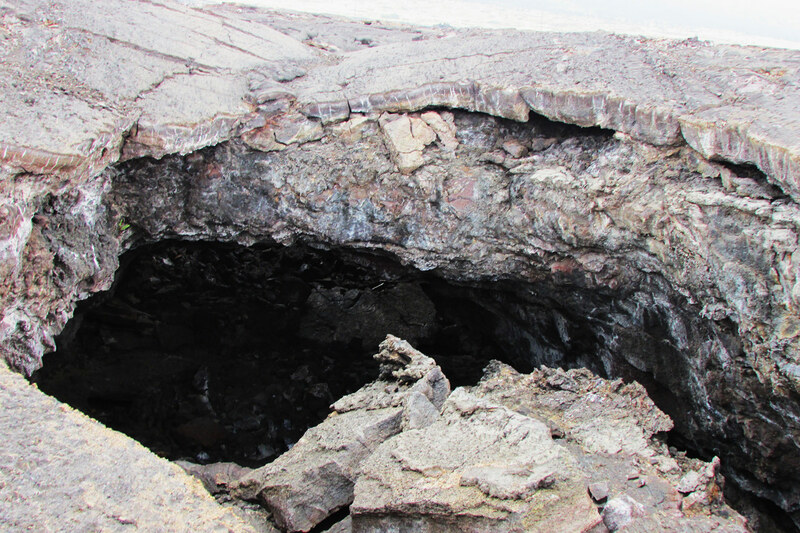 Below is a photo after collapse. While they can’t say for certain what caused the collapse, they believe the most likely explanation is that fatigue caused by daily and annual heating cycles finally stressed the tip of the crack enough to cause a runaway failure sometime this past winter. 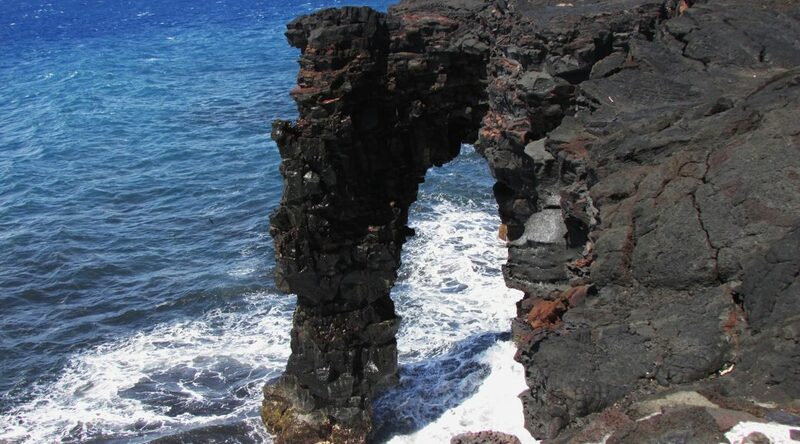 Rainbow Arch lives on in the virtual world as an interactive 3D model made by the research team that can be found at https://skfb.ly/VMvB. Rope swinging at Corona Arch is now a thing of the past (photo courtesy Brian Mosbaugh at Slacklinemedia.com, Instagram: @Moabmonkeys). 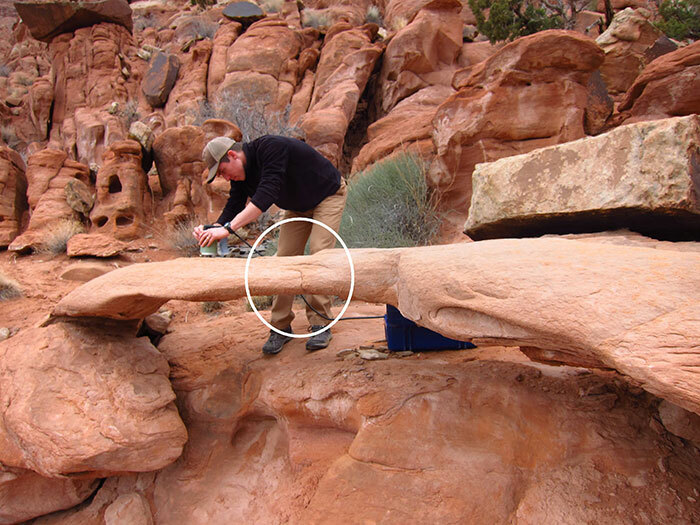 BLM-Moab has restricted roped activities, including swinging, for about 37 acres of BLM administered public lands, including Corona Arch (and nearby Bowtie Arch) and Gemini Bridges. 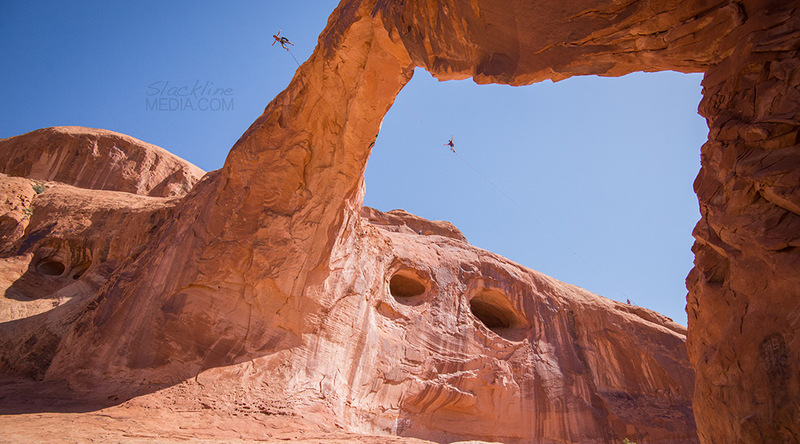 The rest of the Moab Field Office area is still open for roped activities and includes several focus areas specifically for climbing and activities such as base jumping and highlining. Gemini Bridges and Corona Arch are two outstanding geologic formations located northeast of Moab, Utah, in spectacularly scenic settings reached by short hiking trails. Corona Arch was acquired May 8, 2014 through the Utah Recreational Land Exchange, although the hiking trail leading to the arch has always crossed BLM managed lands. 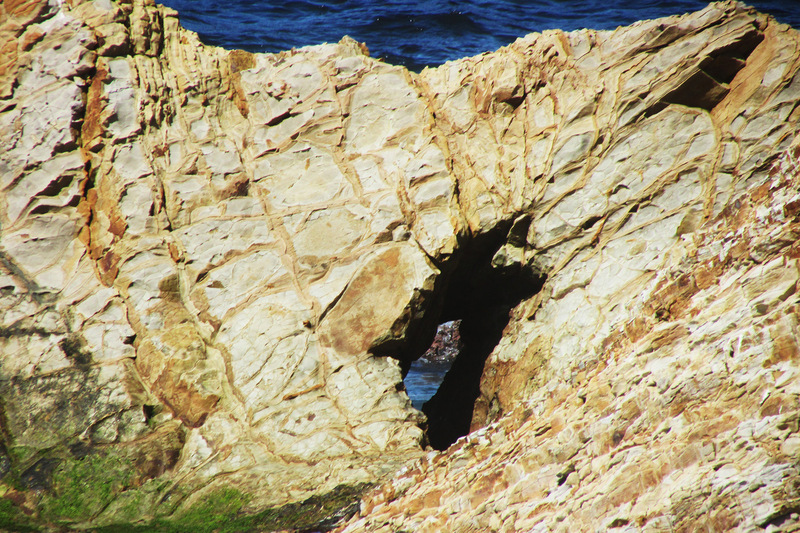 Both features have been very popular destinations for hikers, sightseers and photographers for many years. 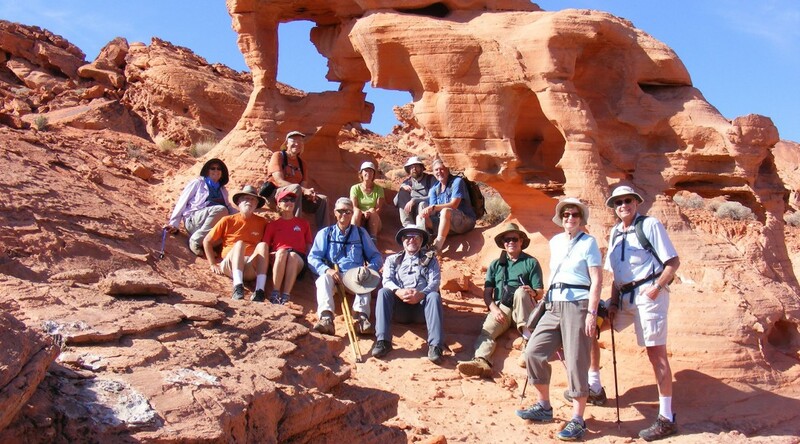 It is estimated that 40,000 people visit Corona Arch and 50,000 people visit Gemini Bridges each year. 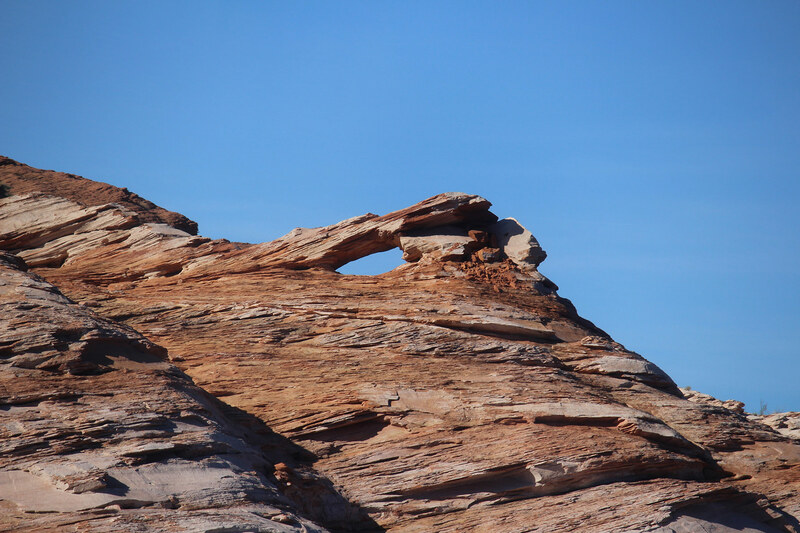 Both geological features, but especially Corona Arch, are among the most often photographed sites on BLM lands. 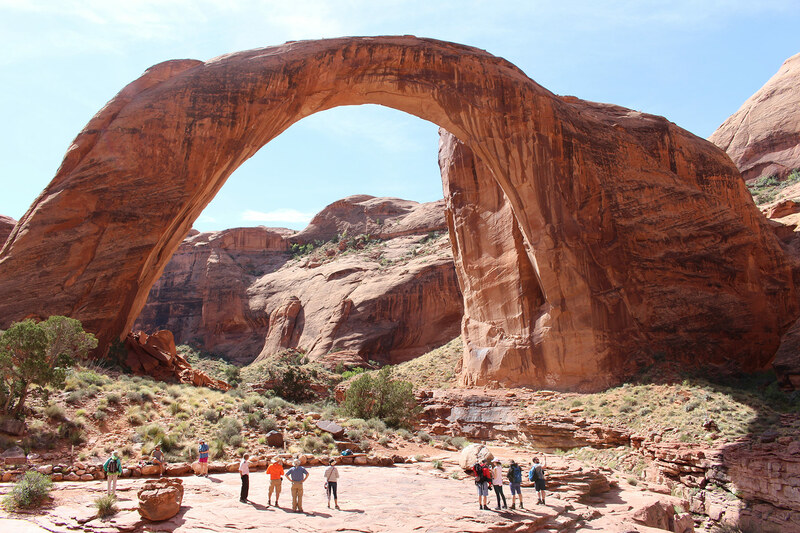 In recent years Gemini Bridges and Corona Arch have become popular areas for a small number of visitors engaging in roped activities, such as highlining and swinging. This had led to a number of complaints from the public about the roped activities diminishing the experience of hikers and sightseers. 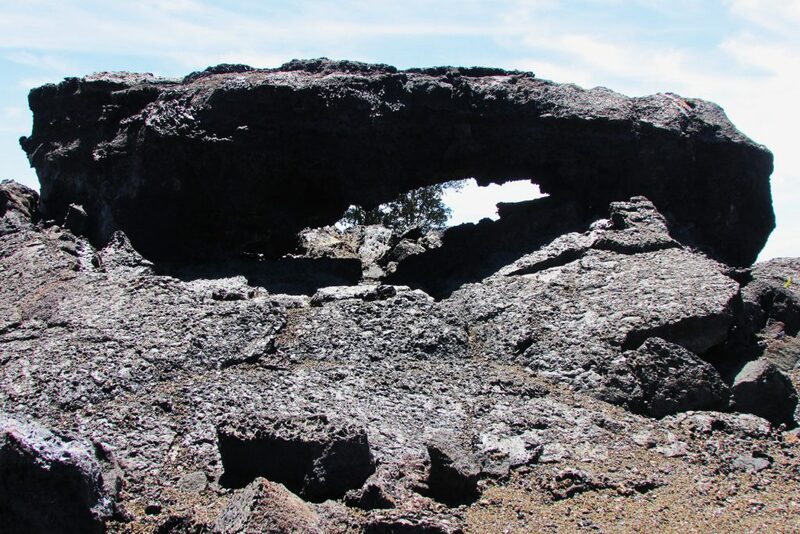 Recently damage to the arch has also been noted from the rigging structures and ropes. On January 6, 2016 BLM issued a decision to temporarily restrict roped activities for two years, while it looked at appropriate management for the area. Following several public comment periods and environmental reviews, and the federal rule making process, that restriction became permanent on August 17, 2017. On the way to Hilo we visited some beautiful waterfalls such as Kamaee Falls, Umauma Falls and Akaka Falls. 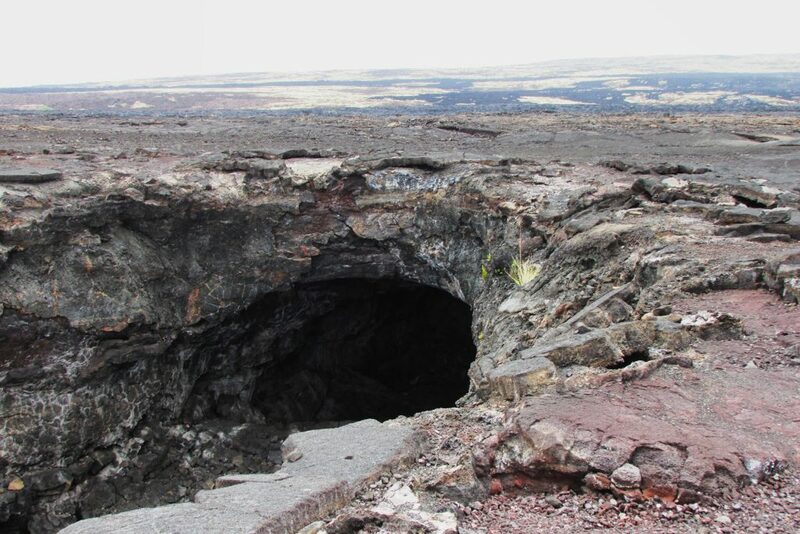 We then visited the Kilauea caldera which is amazing. From State Hwy 19 turn west onto Kaupulehu Road and then turn left on a road (Aina Kaha Pl. ), turn right before a gate up ahead and get a visitors pass from a guard. Go back to the gate and show the pass and the road will soon end at a parking area. 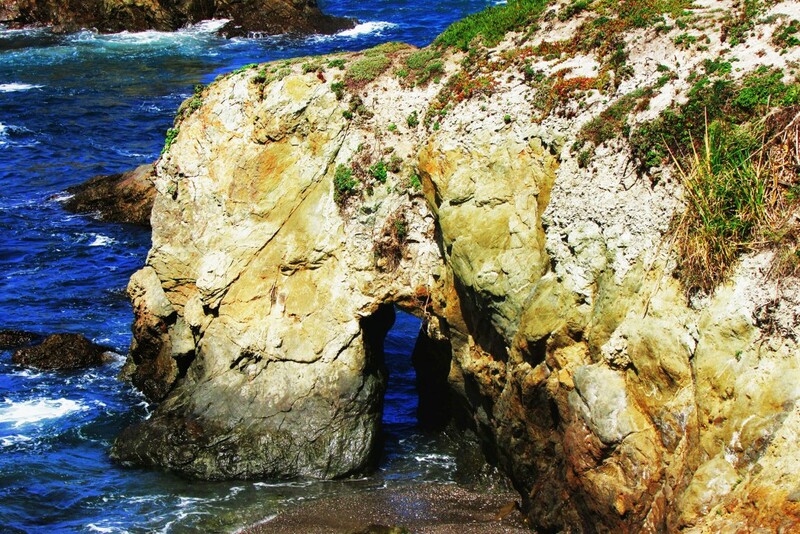 Walk the trail to the beach. 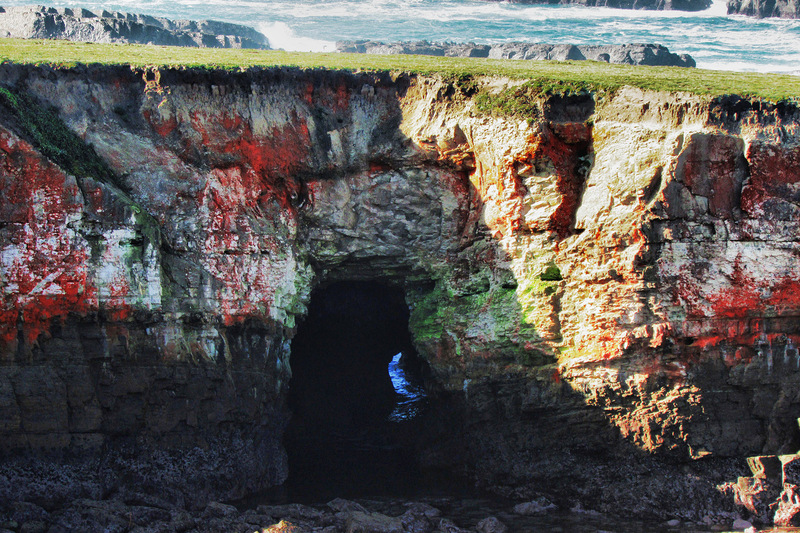 The last area was Noio Point which has two arches (5Q-911379-276932, estimated 5 feet and 20 feet). 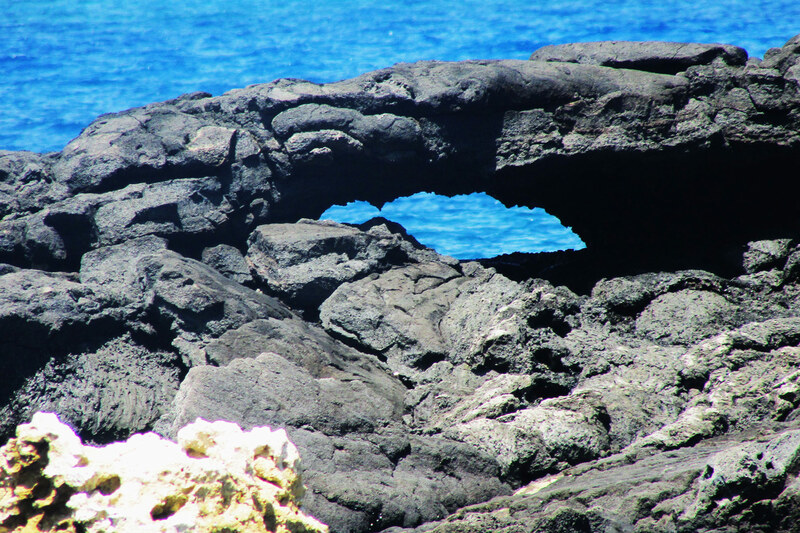 There are a dozen sea arches near Honaunau Bay that can be seen if you take a snorkel boat tour. Aloha! 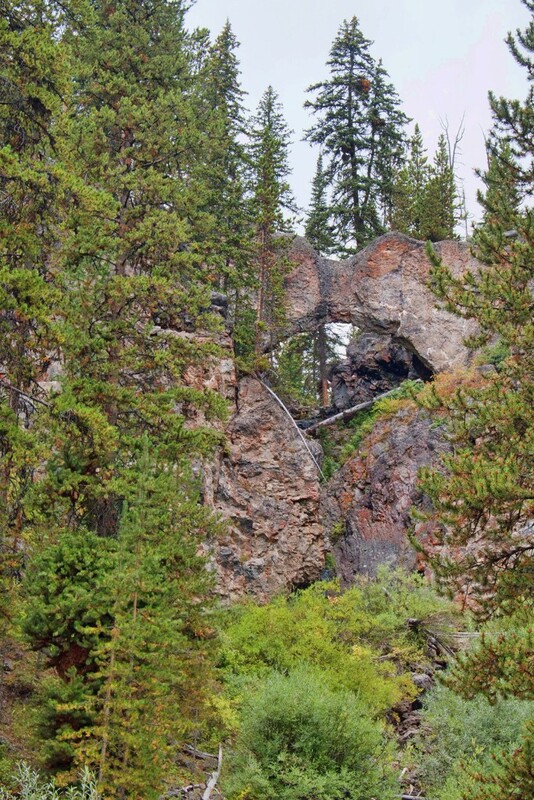 Dave Kennedy, member of the Natural Arch and Bridge Society Board of Directors and former editor of its newsletter, SPAN, wrote this article about his trip to Rainbow Bridge for the publication Our Backyard in Glade Park, Colorado, September 6, 2017. Lake Powell attracts a couple of million visitors to its blue waters and scenic red sandstone surroundings every year and about 100,000 of them make the trip to see Rainbow Bridge. 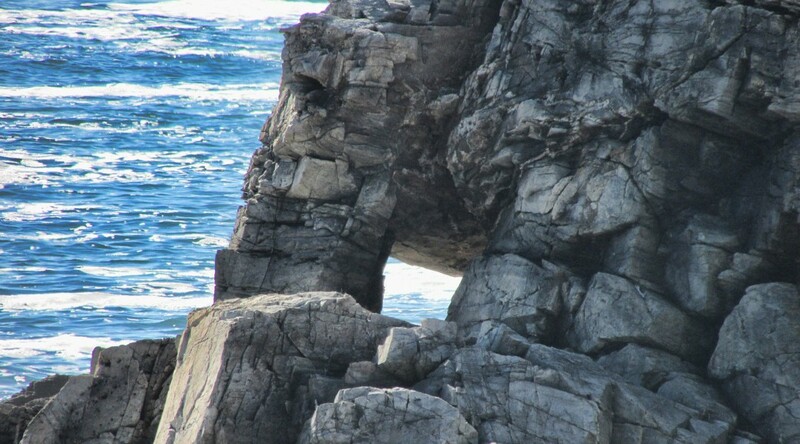 This natural rock span, listed on Google Earth as the world’s largest natural bridge, though it is not, sits in Utah in a branch of Forbidding Canyon about 50 miles up-lake from Glen Canyon Dam. The boat ride from Wahweap Marina to Forbidding Canyon, home of Rainbow Bridge, crosses Warm Creek Bay and Padre Bay, both offering outstanding photographic opportunities. 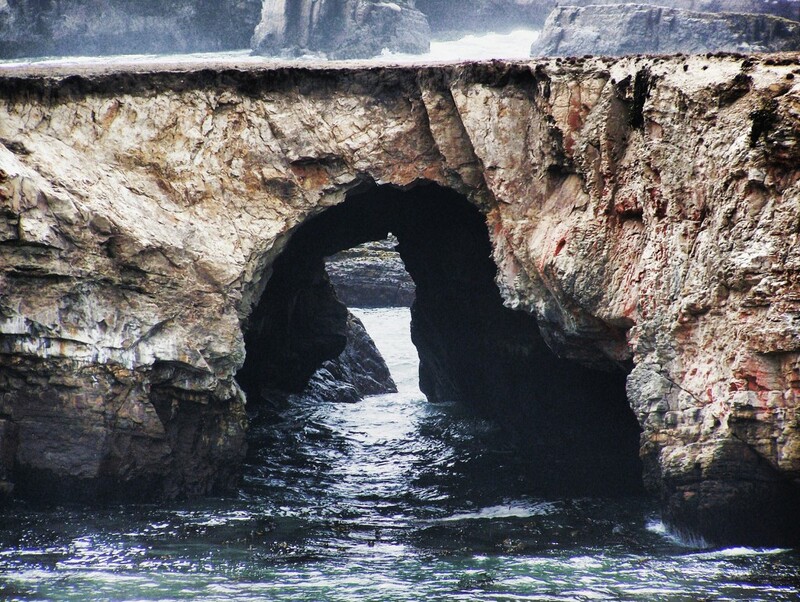 The Natural Arch and Bridge Society has a page on their website at naturalarches.org which lists the “Big 19” arches and bridges in the world known to have a span greater than 200 feet. The Society seems to be the only body to set a protocol for measuring arches, which gets to be very technical for lay people. 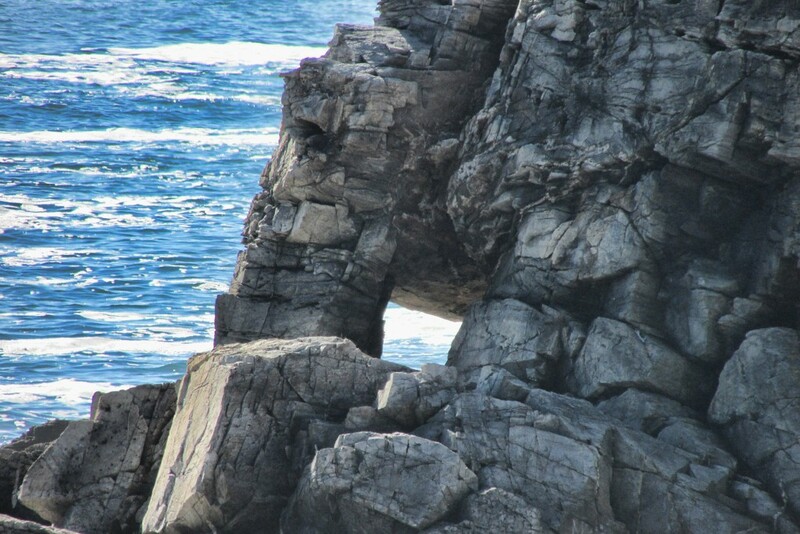 In short, span is defined by NABS as the horizontal extent of unsupported rock and is the organization’s basis for ranking the world’s arches and bridges. 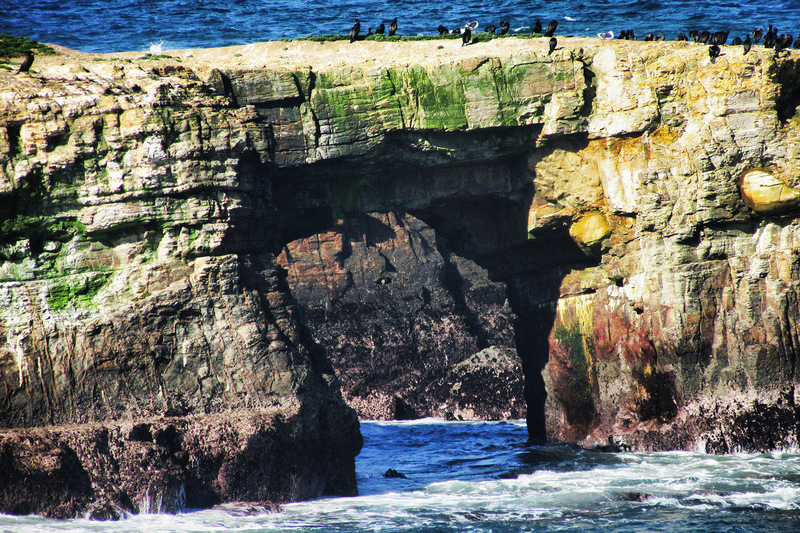 The Big 19 shows that Rainbow Bridge, spanning 234 feet, is the 6th longest natural bridge in the world and the 11th longest arch in the world (all natural bridges are arches, but not all natural arches are bridges). 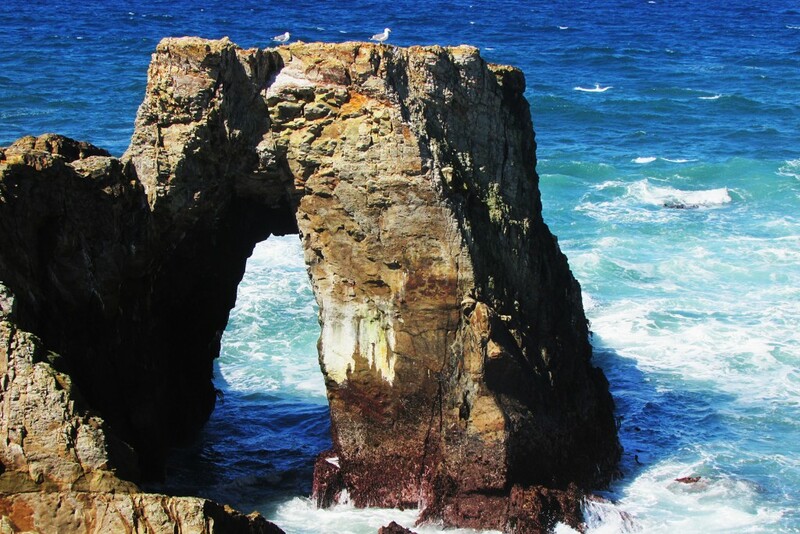 Its height is listed at 245 feet, making it also one of the tallest natural arches in the world. 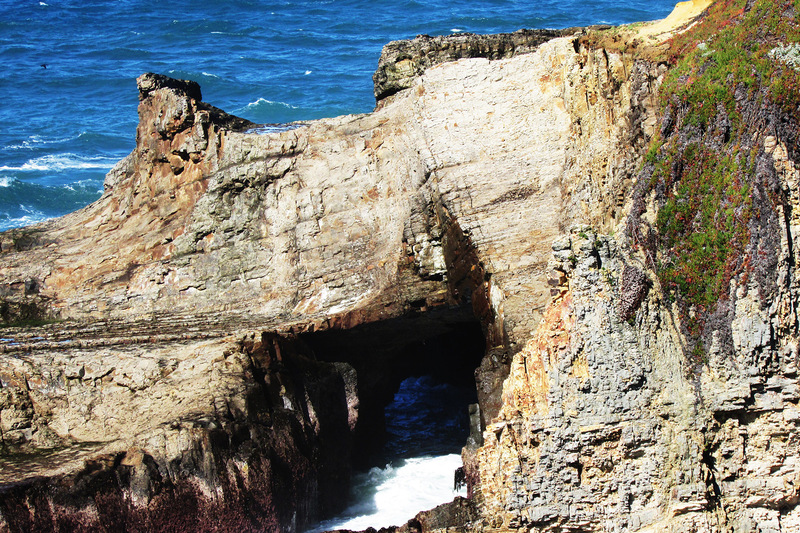 The five longest natural bridges listed in the Big 19 are all located in China. Of the Big 19, nine are located in China, nine on the Colorado Plateau and one is in the Sahara Desert of northeastern Chad, Africa. 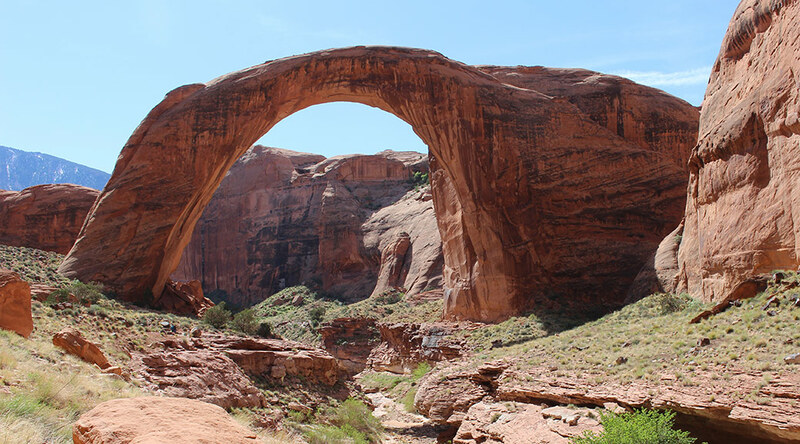 In the NABS nomenclature, Rainbow Bridge is classified as a meander bridge formed in Navajo sandstone. 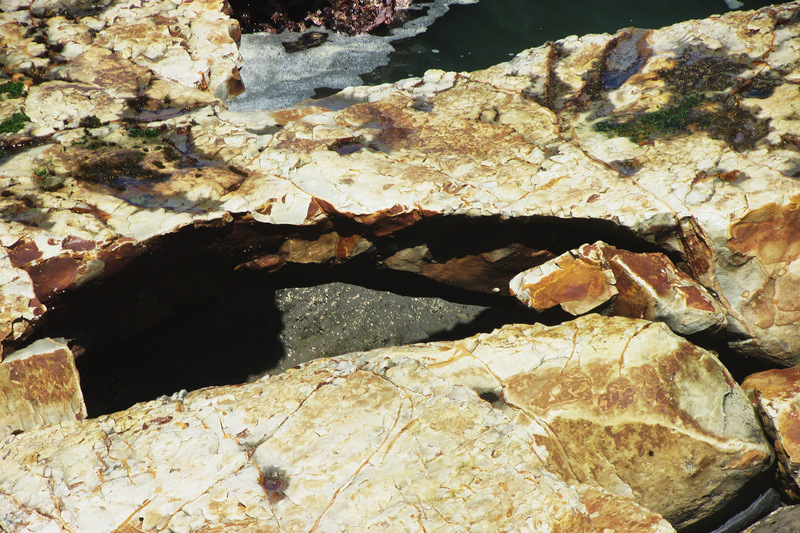 That geologic stratum dates to the Jurassic Period from about 145 million years ago to about 200 million years ago. 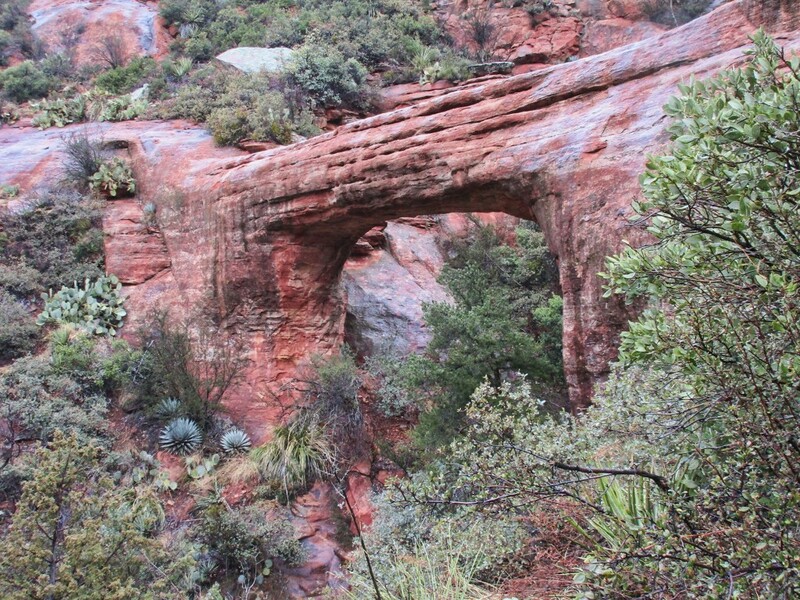 The bridge soars in a huge arc over the canyon and its intermittent stream below. The reaches of Bridge Canyon stand sentinel behind it and the entire scene is watched over by 10,000’ Navajo Mountain in the background. This is an outstanding example of the fabulous and fascinating landscapes of the American southwest. Rainbow Bridge spans 234 feet and towers 245 feet from the ground, making it the sixth longest natural bridge known to exist in the world. About 100,000 people make the trip to Rainbow Bridge National Monument every year, most by boat but many others by backpacking one of two trails from Navajo Mountain. 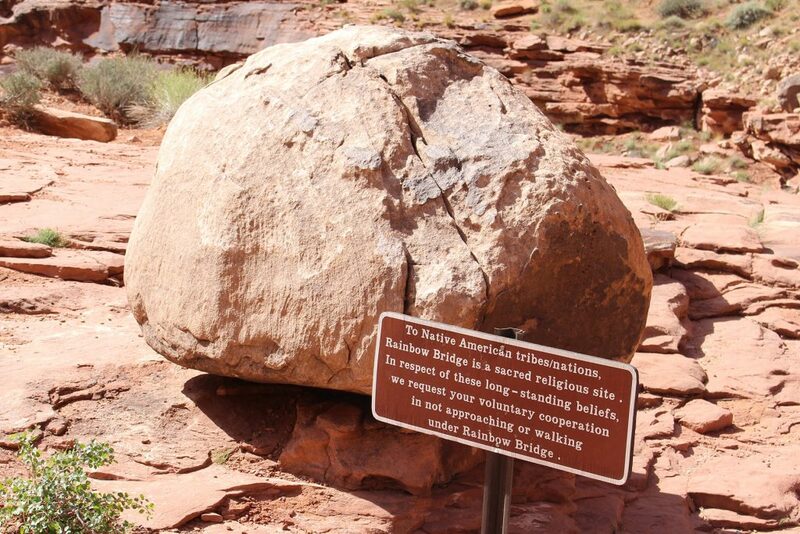 The native religious reverence for Rainbow Bridge has generated controversy over the years, which has been resolved to no one’s complete satisfaction by the placement of boulders and signs to discourage visitors from approaching or walking under the bridge. The National Park Service asks visitors to respect the site’s traditional religious nature by not doing so, but a lawsuit in prior years established that the NPS may not ban people from going under the bridge and that the current voluntary request does not constitute a ban. 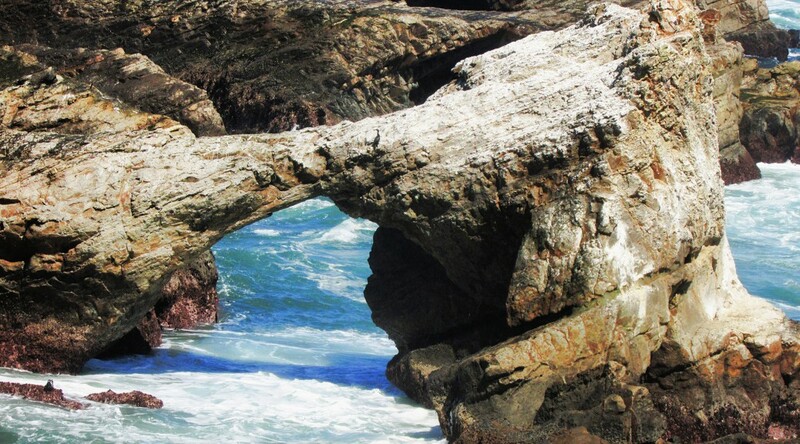 The National Park Service asks visitors to Rainbow Bridge to voluntarily refrain from approaching or walking under the arch out of respect for Native American religious traditions. 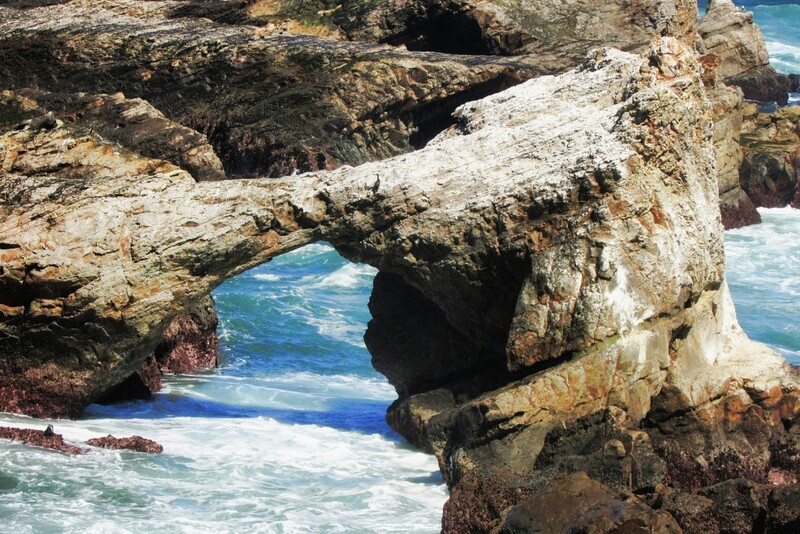 Another controversy surrounding Rainbow Bridge comes from the story of its Anglo discovery. Two parties had been trying for a few years to locate the bridge based on tales told by Native Americans. One was led by Byron Cummings, a dean at the University of Utah and another by John Wetherill, he of the famous Wetherills that discovered Mesa Verde. At length the two parties combined for the trip that led to the finding of the bridge in 1909. Heated arguments ensued as to whether the discoverer should be Cummings or Wetherill. At least one source lists them in an epic weasel-out as co-discoverers. 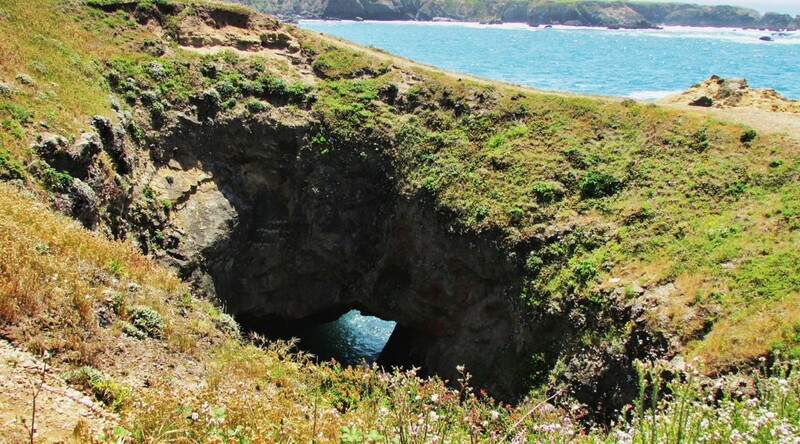 Other controversies involving this natural bridge include scientific values, access, protection and cultural significance, all of which have shifted over time and are probably still shifting today. 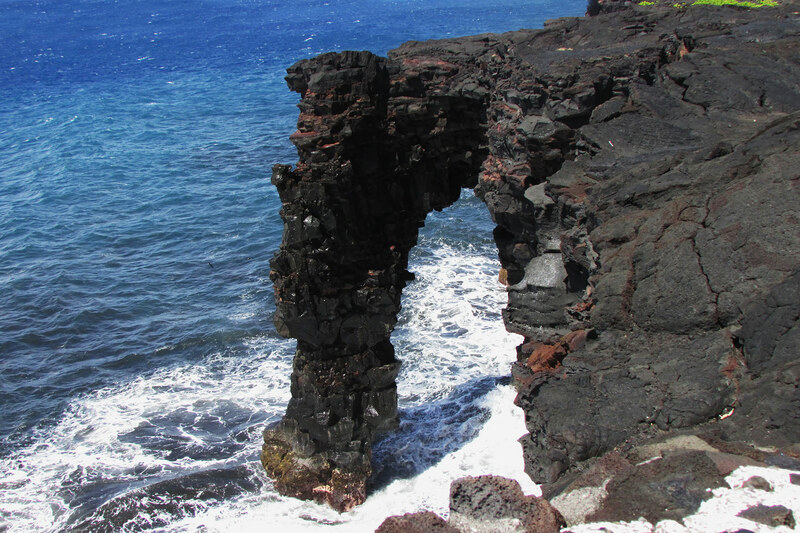 There are two official ways to get to Rainbow Bridge National Monument. You can take a boat or you can hoof it. Private boats are allowed to enter Forbidding Canyon and tie up at the courtesy dock at the trail head for the bridge. The dock has a restroom but no other services are to be had there. Commercial boats are run by the Glen Canyon National Recreation Area concessionaire from Wahweap Marina. 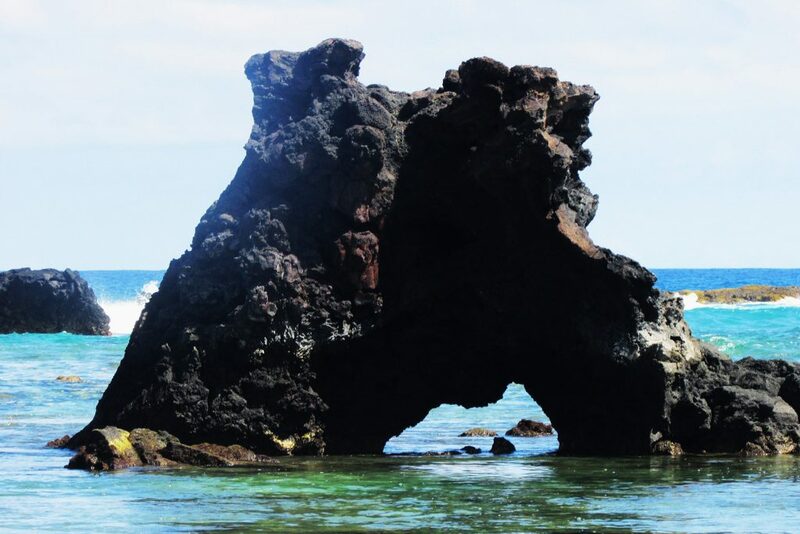 Trips take all day and, at the time we went, cost $125 per person. Commercial and private boats can tie up at the courtesy dock at the trail head for Rainbow Bridge. There are no services at the dock other than a restroom. 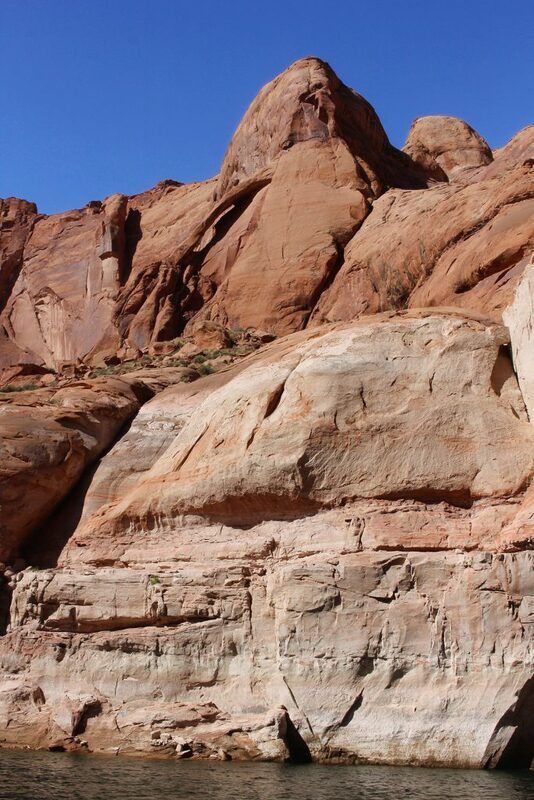 The distance of walk from the dock to Rainbow Bridge depends on the level of Lake Powell. When we went the walk was about 1.25 miles each way. The trail ends at a viewing area near the bridge and there are signs requesting that visitors respect traditional religions and do not approach or walk under it. The concessionaire staffer on our trip yelled at one tourist to return to the viewing area and not go farther. The hike to Rainbow Bridge from the courtesy dock is about 1.25 miles at the lake level when I was there. 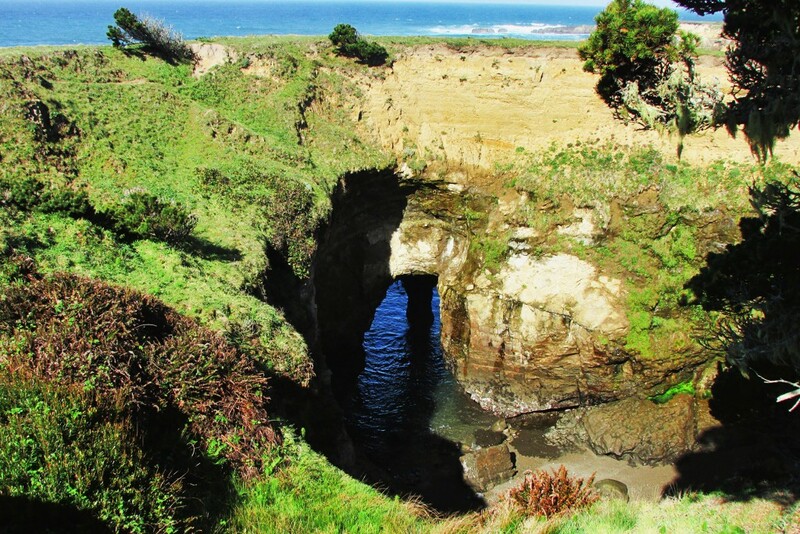 The trail brings visitors to many outstanding views of the magnificent natural bridge. The boat ride is about two hours each way and leaves Wahweap Bay on the way to skirting Antelope Island on the 50-mile trip up-lake. 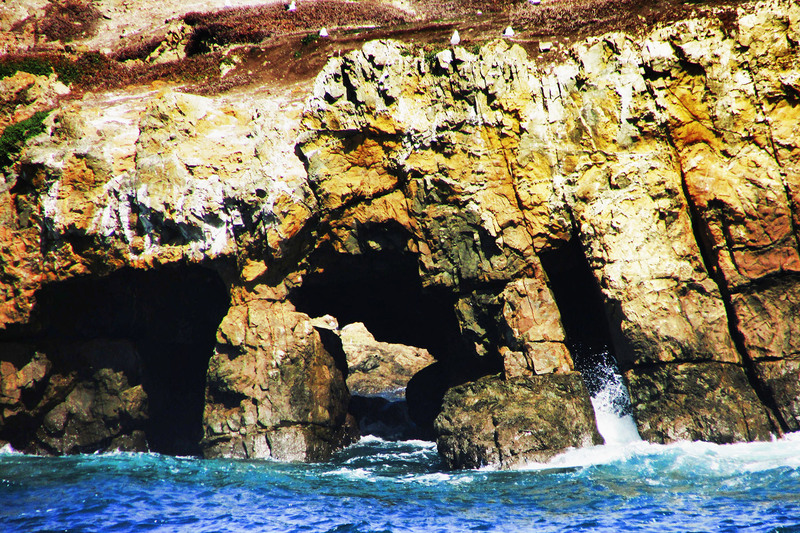 Warm Creek Bay and Padre Bay, Lake Powell’s largest bay, offer up their fantastic scenery along the way. The tour travels by several good viewpoints of Tower Butte which was a landmark for travelers long before the reservoir came into being. Tower Butte, whose top levels off some 1400 feet above lake level, stood as a landmark for overland travelers long before Lake Powell existed. Many visitors take helicopter tours which land on the butte. 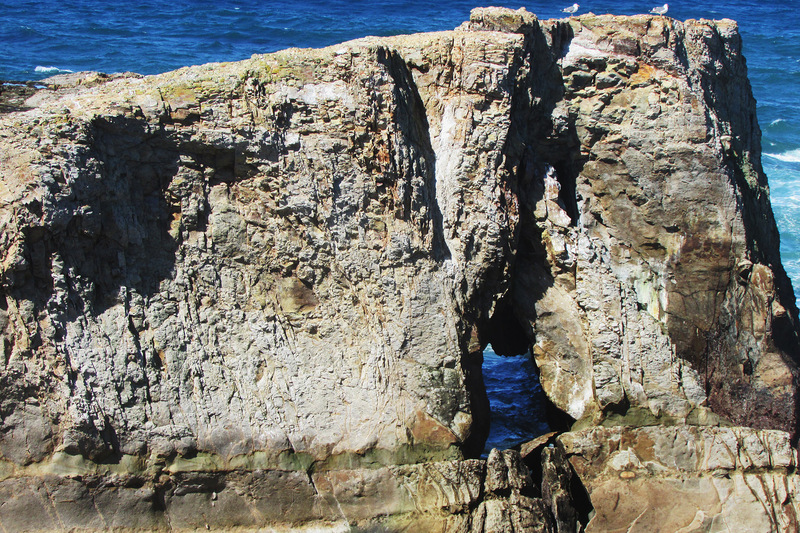 Observant passengers may see other small arches in the sandstone shoreline of the lake and photo opportunities abound. 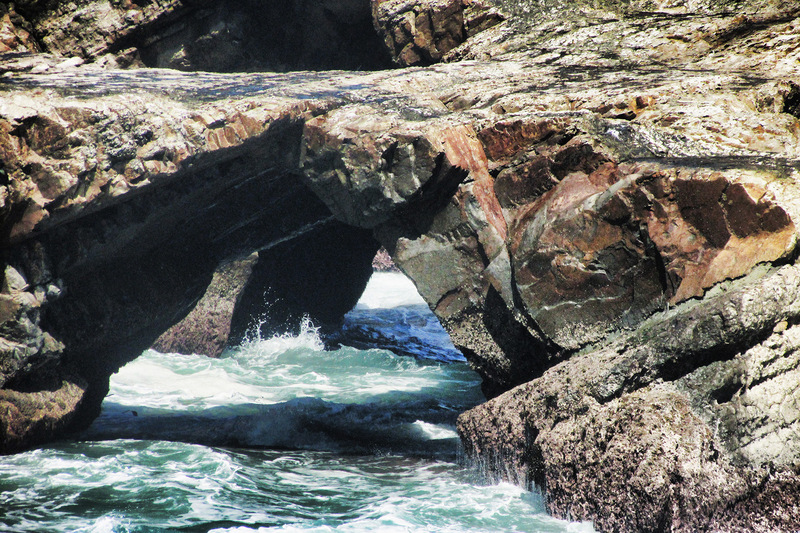 The picturesque shoreline of Lake Powell enthralls with scenery, such as this small arch seen on a boat tour to Rainbow Bridge. 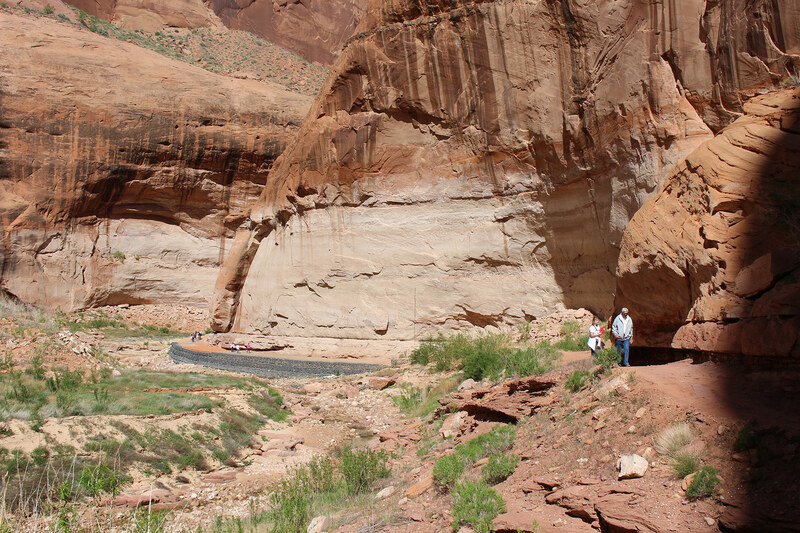 Not long after the boat enters Forbidding Canyon, 25-foot Rainbow Canyon Jughandle arch comes into view high on the right. 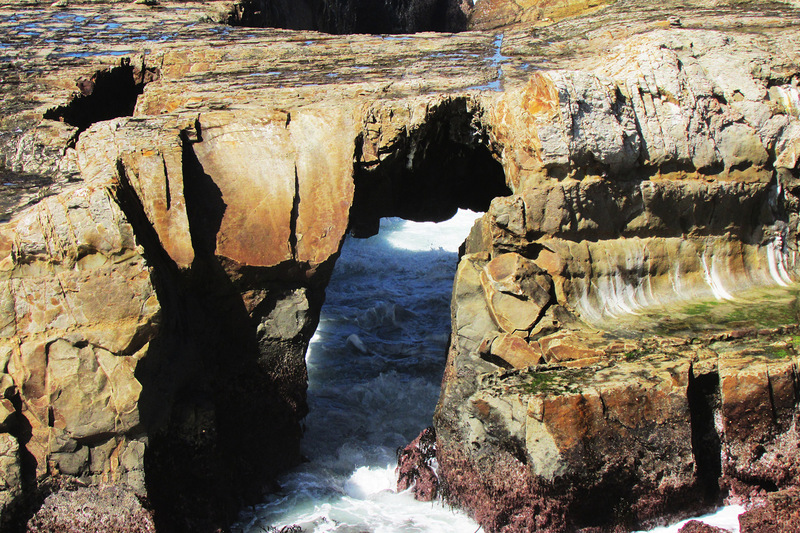 Rainbow Canyon Jughandle arch spans 25 feet and can be seen not long after entering Forbidding Canyon by boat on the way to Rainbow Bridge. 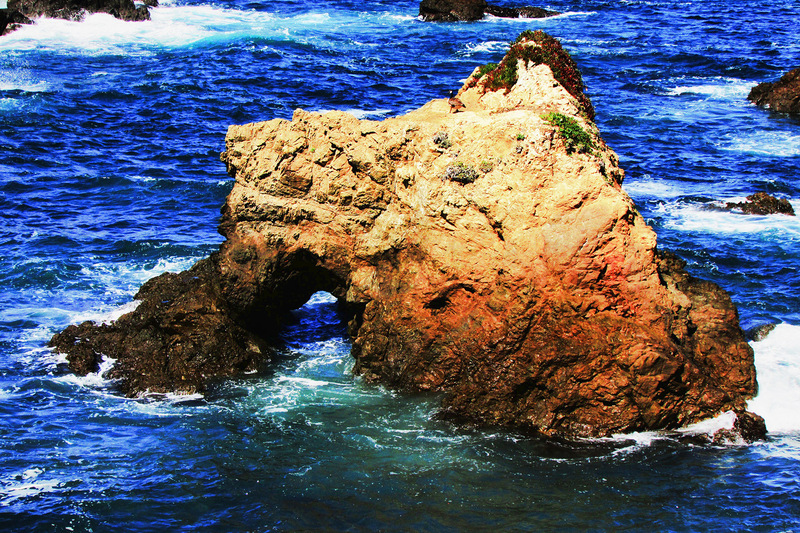 The blue water contrasting with the sandstone canyon walls make the entire trip a photographer’s paradise. 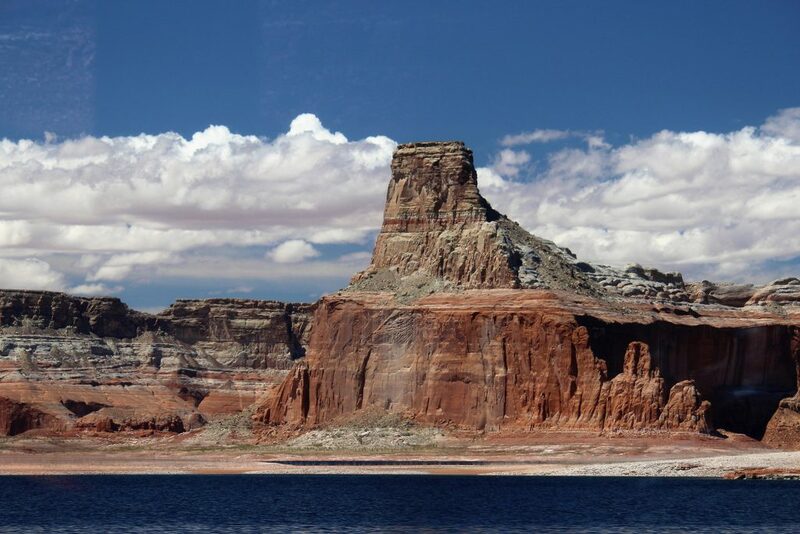 Online information about the tours and reservations can be found at lakepowell.com. 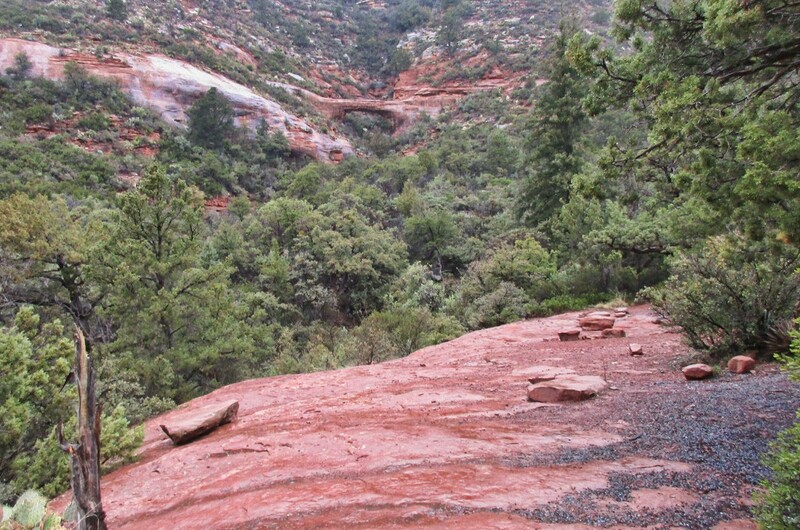 The other official way to get to Rainbow Bridge is to hike from Navajo Mountain by way of either of two long trails. The northern route is 32.7 miles roundtrip and involves about 7000 feet of elevation change. 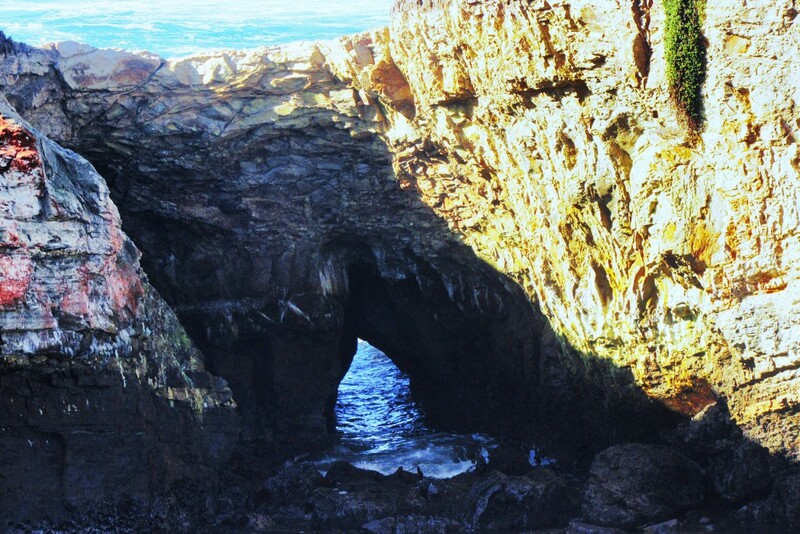 It has the advantage of being less steep, though harder to get to, and it also goes near lovely Owl Bridge. Its 61-foot span will have you digging your camera out of your backpack. 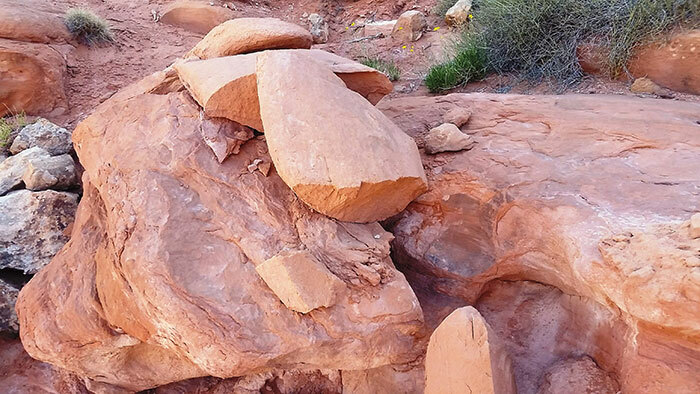 The southern trail from Navajo Mountain is shorter at 24.5 miles roundtrip but much steeper, with over 8400 feet of elevation change. Distances and elevations for both trails are taken from the alltrails.com website. 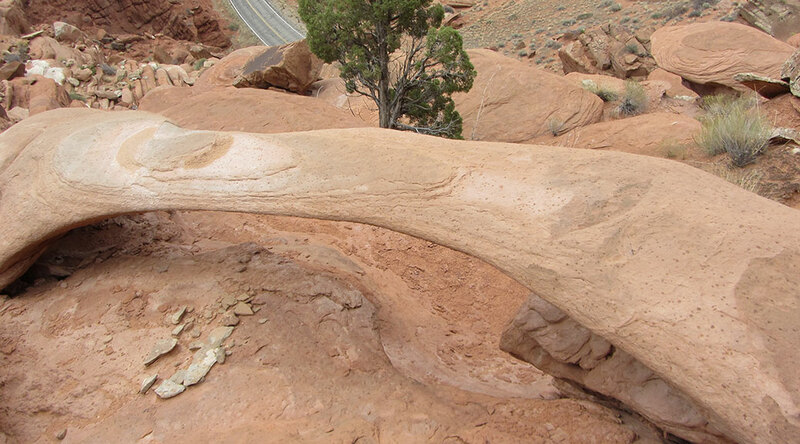 Both trails are entirely within the boundaries of the Navajo Nation except for the little distance they are in Rainbow Bridge National Monument. As such, permits from the Navajo are required and can be obtained from the Navajo Nation Parks and Recreation Department in Window Rock, Arizona (928-871-6647) or from their website at navajonationparks.org. 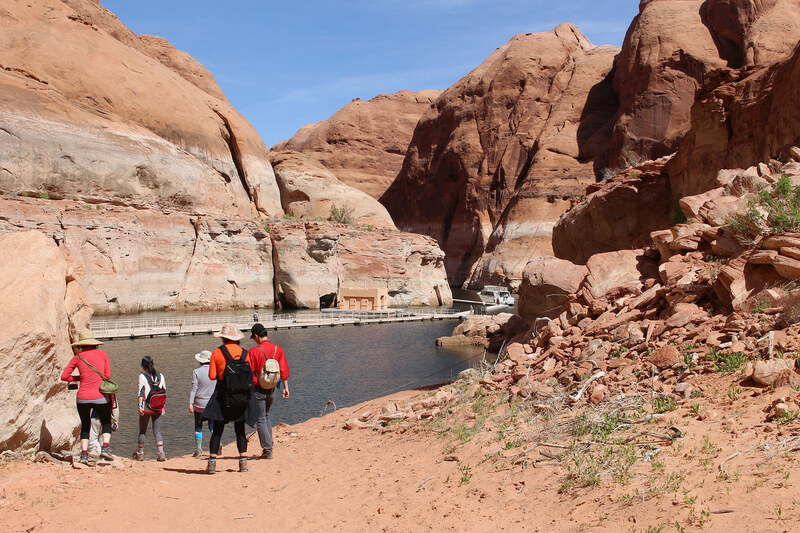 Hikers with shuttle capabilities could walk in on one trail and back the other, and by making prior arrangements with the concessionaire at Wahweap Marina, hikers can ride out on one of the boat tours to the marina. The trails are not maintained and may be subject to flash flooding, hot, dry conditions in the summer and severe cold and wind in the winter. There are not many trail signs but the trails are mostly marked with small stone cairns. 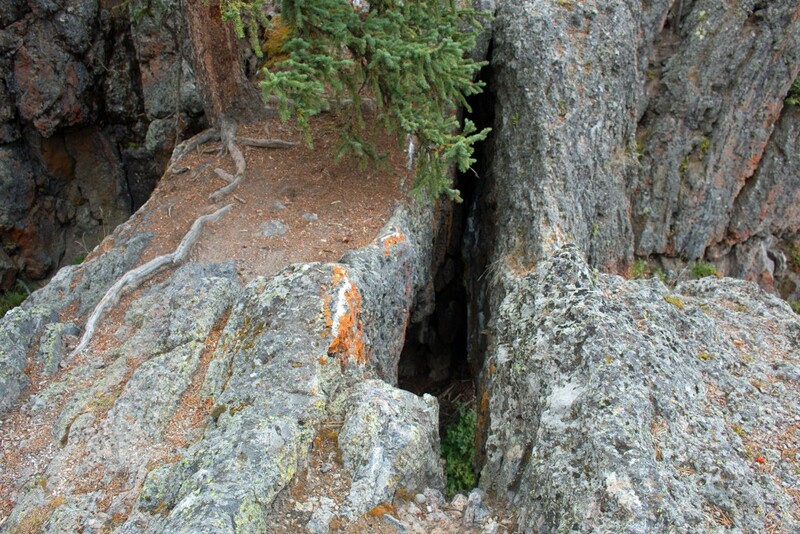 These routes are not recommended for inexperienced or casual hikers. 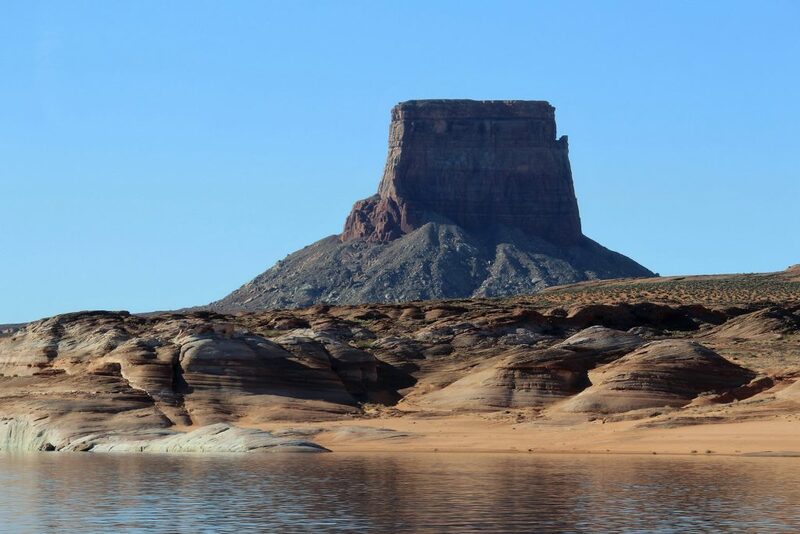 The Lake Powell area of Utah and Arizona envelops a treasure trove of nature’s wonders for visitors of all interest levels from the casual to the intrepid. 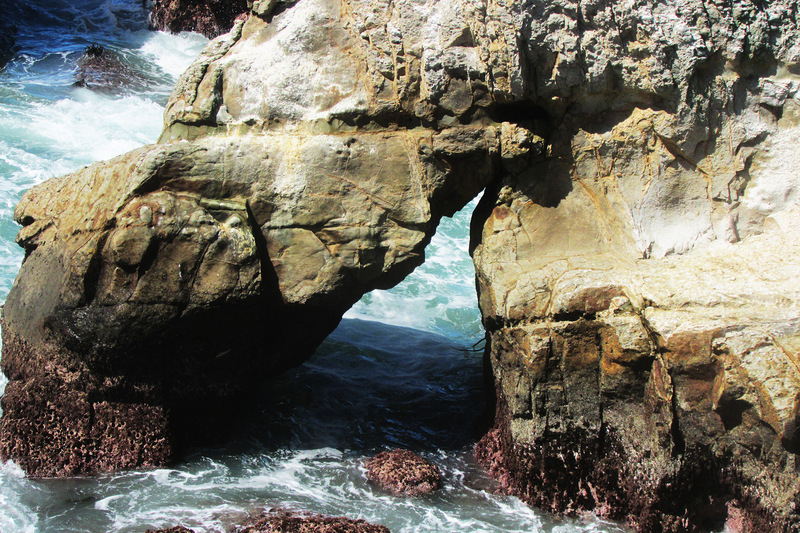 Visiting Rainbow Bridge will surely be one of the highlights of anyone’s trip to the area. 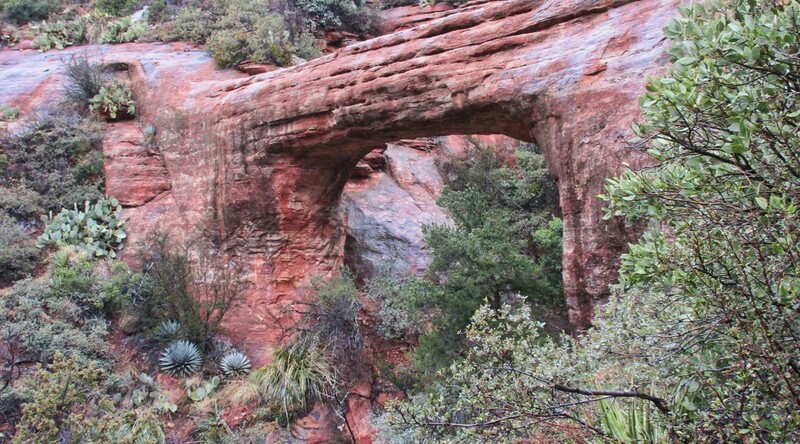 David Kennedy reports that some NABS website information about Vultee Arch near Sedona in Yavapai County, AZ, was out of date [it was updated accordingly today]. 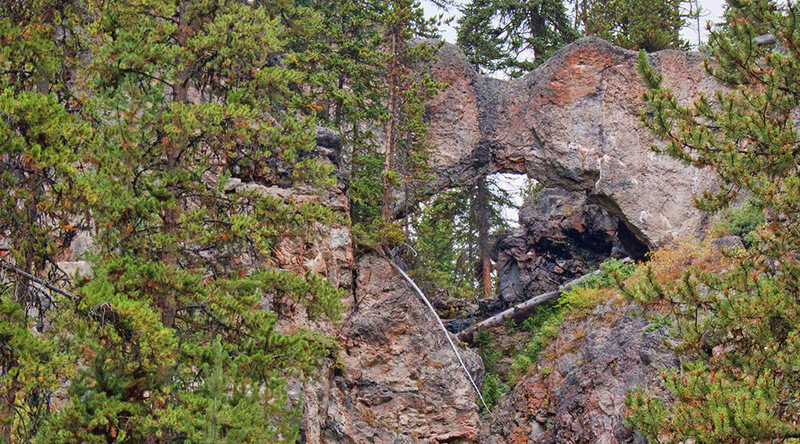 The website had reported that the trail went only to a viewpoint (shown below) and that to access the arch itself required significant bushwhacking. 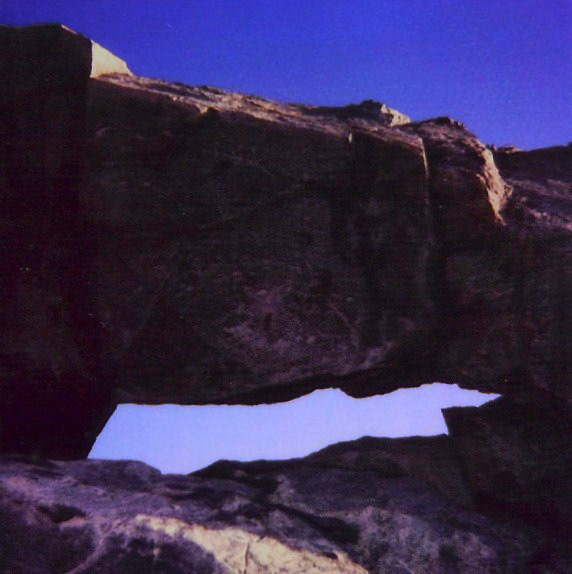 A hike there Feb. 7, 2017, revealed that a trail now goes up to a point next to the lintel of the arch, where the photo below was taken, so there is no longer any bushwhacking involved. From that point one can get onto the lintel and/or go down behind the arch to get beneath it. It is a steep descent to the lintel which Dave declined to take because the rock was wet at the time. A GPS reading at the photo vantage point was 12S 429812.28 E 3866826.42 N, very close to that reported on the website. 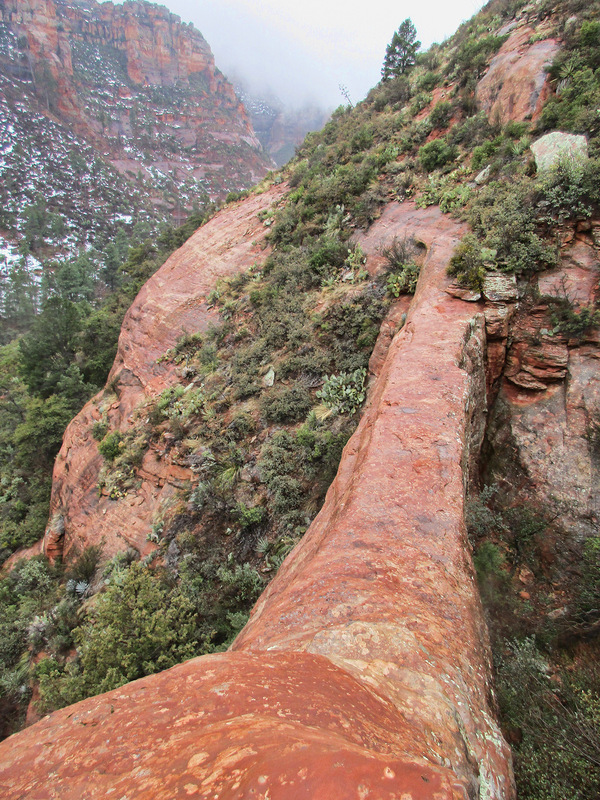 Vultee Arch from below. All photos courtesy Dave Kennedy. 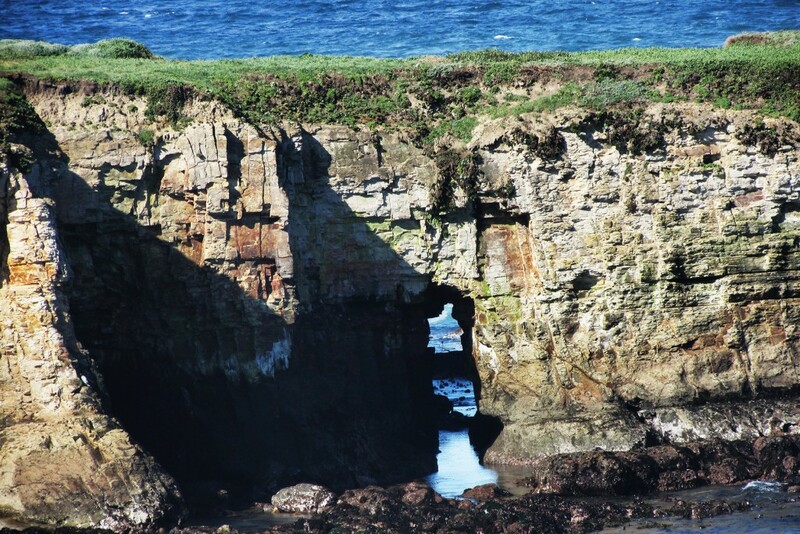 SPAN Editor Dave Kennedy gave me a tip about an area up the Northern California Coast called Storenetta Public Lands that has some sea arches. This area was once a dairy farm owned by Clover Creames based in Petaluma, CA. So I drove up to the area near the Pt. 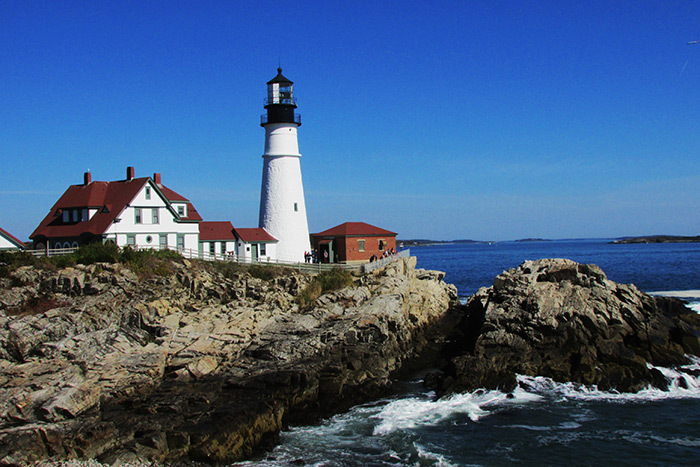 Arena lighthouse, parked at the Stornetta Public Lands trailhead, and walked the trail along the bluffs. It was quite windy. Coordinates given are from Jay Wilbur’s GIS section of the NABS website; sizes are estimates. 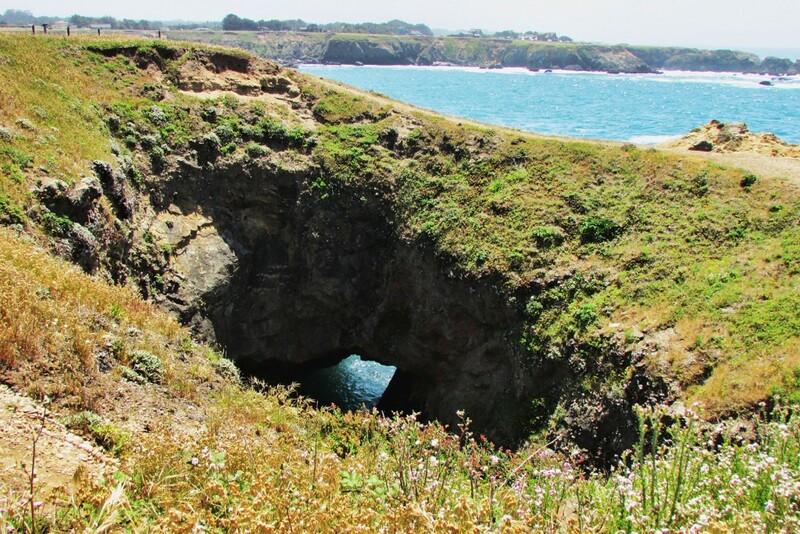 This past Memorial Day, Pat and I drove up to Fort Bragg, CA and stopped at Noyo Headlands Park which is a newly opened park. The city bought the land that used to be the the old Georgia Pacific Lumber Company and made some walking trails along the bluffs with some beautiful overlooks. The first area we visited was the southern entrance to the park which can be reached from State Hwy 1. The last area we visited was the northern entrance to the park which can be reached from State Hwy 1. 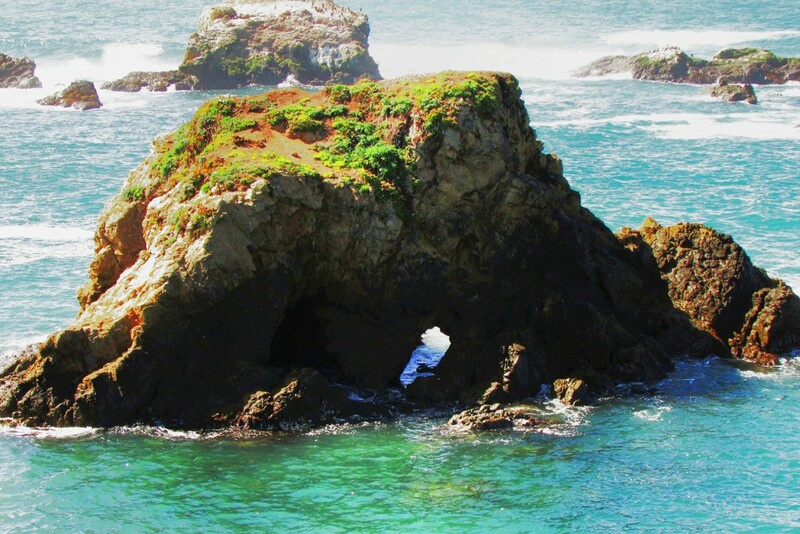 We turned west onto Elm St. in Fort Bragg and parked at Glass Beach. We walked the trail west then south to Otsuchi Point. Just before reaching Otsuchi Point there are some steps made from logs that go down to a beach. 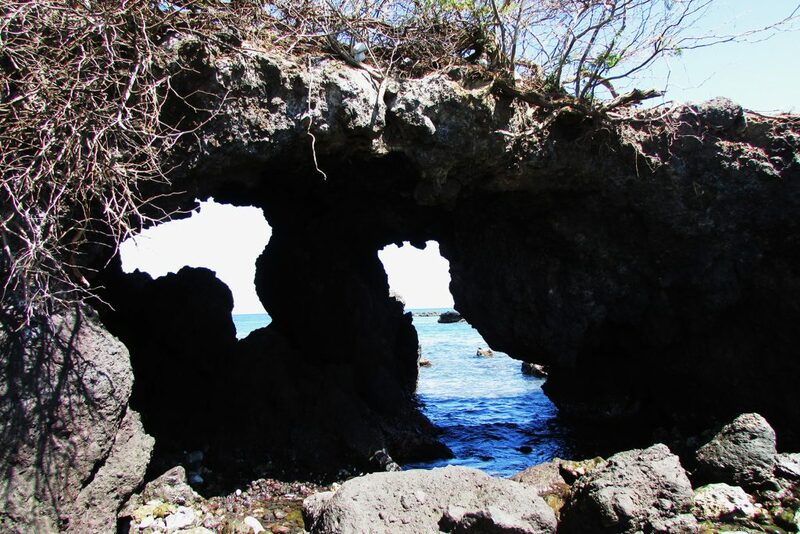 Back on the trail to Otsuchi Point are 4 more sea arches as follows.